“You can’t look at it too long before you eat it,” one fan says. 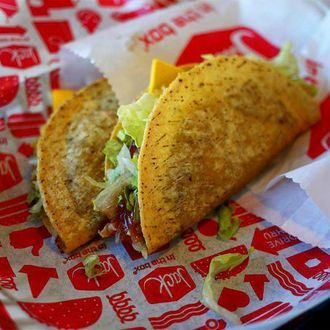 Jack in the Box now sells more tacos than any other item on its menu thanks to a legion of fans who swear by the greasy vessels even as they sometimes struggle to understand their appeal. Two minutes later, she picked the taco off the seat and finished it. Then she ate the other one.“I was like, ‘I must have more. This is vile and amazing,’” she said.